Of course, it’s generally a good idea to remember the PIN codes and passwords you need to get access to your devices, but should you find yourself locked out of a phone or laptop and utterly unable to remember what your login credentials are, we’re here to help. Here’s how to get back into your devices after you’ve been locked out. Thankfully, the arrival of fingerprint sensors and face scanning has minimized the chances of this happening, but biometric security can go wrong, and passwords can get forgotten—particularly if you don’t use them for a long time. There’s also the danger that younger members of the family will jab at your tablet too many times and lock you out for *checks notes* a little over 48 years. For the majority of the time, a complete system restore is the only option: It’s yet another reason why you should always, always back-up your devices. Remember that lock screen security is there to stop thieves and strangers getting at your stuff—having a quick workaround would kind of defeat the point of having these security measures in the first place. Here’s what you need to know for your phones and laptops. Should you be unable to get into an iPhone or an iPad (or maybe even an iPod touch)—whether through PIN, fingerprint, or face—then you’re going to have to take the hit and completely reset the device. There’s no way of sneaking back in—again, this is to protect your data from anyone who shouldn’t be getting at it. Resetting iOS is easy enough from inside iOS, but if you can’t access your device, you’re going to need use to iTunes on a Mac or PC—that might mean enlisting the help of a friend if you don’t have it set up yourself, or even calling into an Apple Store or repair shop as a last resort. With iTunes running and your iOS device connected via USB, you need to press a certain series of buttons to enter recovery mode. On the newest iPhones, it’s a quick press of the volume up button, a quick press of the volume down button, then a long press of the side button. Apple has a comprehensive guide for any iOS device here. When you’ve pressed the magic button combination, iTunes will detect the device and identify that there’s a problem with it. You then need to click the Restore option that appears on screen, and your iOS device gets reset back to its factory-fresh state. After that, you can get your data back via the most recent iCloud or iTunes backup. If you can’t get into your Android device using any of the methods available to you, the only option to get back in is resetting the device and starting again from scratch (all your apps and data will be wiped). How you go about this varies between devices. On a Pixel, turn the phone off then hold down the volume down and power buttons until the Android logo appears. Use the volume buttons to choose Recovery mode, then the power button to select it, then when you see the No command message, hold down the power button and tap volume up. The next menu then lets you select Wipe data/factory reset. A quick web search using the name and model of your Android device should reveal the steps for your own phone if it’s not a Pixel, but they don’t vary too much. 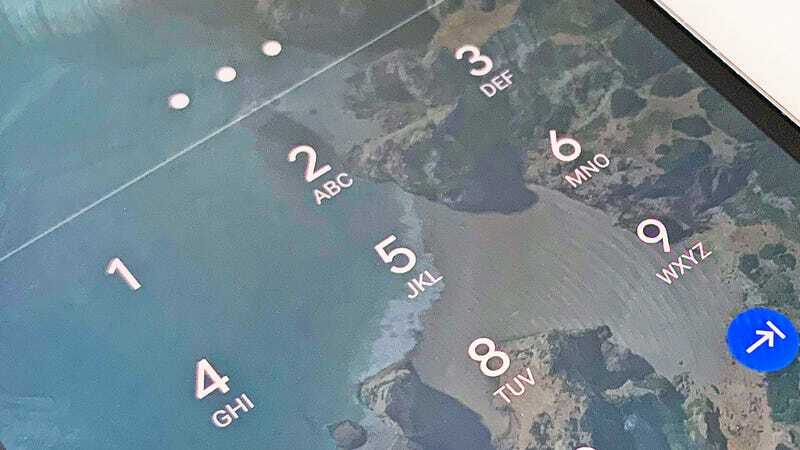 On recent Galaxy phones from Samsung, for example, you need to hold down the volume up button, the power button, and the Bixby button to get to the initial recovery screen. An easier way to reset your device, if you’ve set it up, is Google’s Find My Device service. Go to the Find My Device website, log in with your Google account, and you should see your phone—though this only works if it’s switched on and connected to the internet. Choose your device from the list (top left) then click Erase device to start the wiping process. Should you find yourself locked out of your Mac and unable to get back in for whatever reason, you should be able to solve the problem fairly easily if you associated your user account with an Apple ID when you first set up the computer. You don’t even need access to a second device. If that’s the case you should see a ...reset it using your Apple ID message on the lock screen when you’ve incorrectly entered your password three times. Click this link and you get the option to log in with your Apple ID credentials rather than your user account credentials, and you can then reset the account password. You do also have the inconvenience of setting up a new secure keychain inside macOS, which you’ll be prompted to do straight away—your old database of passwords will be locked by the password you’ve forgotten. You’ll need to start again recording login details for websites and so on, but at least you’re back in your computer. Reinstalling macOS and starting again from scratch is also an option—if your personal files and data are all safely backed up somewhere and you want to take the opportunity to get yourself a clean slate. Restart your Mac while holding down Cmd+R then choose Reinstall macOS to start the process—Apple explains the process in detail here. If you find yourself unable to get through the Windows lock screen—biometric security has been disabled, and you’ve forgotten your password and your PIN—you’ll need to get hold of another device and use it to reset your Microsoft account password. Go to the Microsoft account page and start the logging-in process from the other device. Enter your Outlook email address, then on the next screen click Forgotten my password (because you have). At this point, your browser or password manager might helpfully remind you what your password was, but if not, go through the process of setting up a new password. This new password will then work almost instantly on the computer you’re having trouble getting into. It’s a fairly painless process that should only take you a few minutes, but remember you’ll have to sign into all your other Microsoft services again (like OneDrive on the web) using the new password. Another option is to completely reinstall Windows and start again from scratch, though you’ll lose all your installed applications and personal data—which we hope you have safely backed up somewhere. You’ll need to check the instructions that came with your computer for this, as you’ll typically have to hit a key during a system restart to enter a special diagnostic mode: Microsoft runs you through the options here.